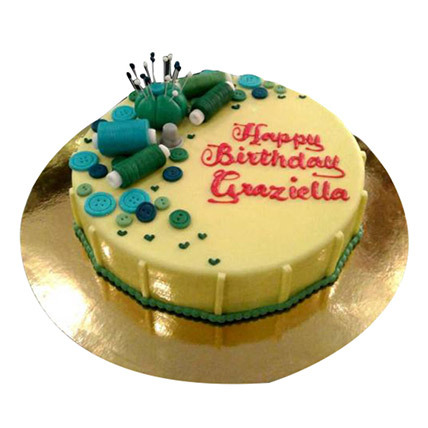 Here comes a round and colorful designer fondant cake which has needle and thread as the theme. The needle, thread, and buttons used as a layer on this bright colored cake. Wish a birthday to your loved ones with this heavenly cake.